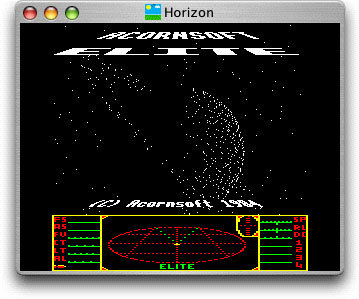 Horizon (formerly MacBeebEm) was one of the first emulators available for Macintosh. Despite this, it has fairly good compatibility with original BBC software, allowing you to play titles such as Elite without problems. The Mac OS X version adds an improved GUI and significantly improved sound to the original version.